Always a good combination, you can never go wrong with surf and turf. Its the best of both worlds- a nice steak and some really great seafood. 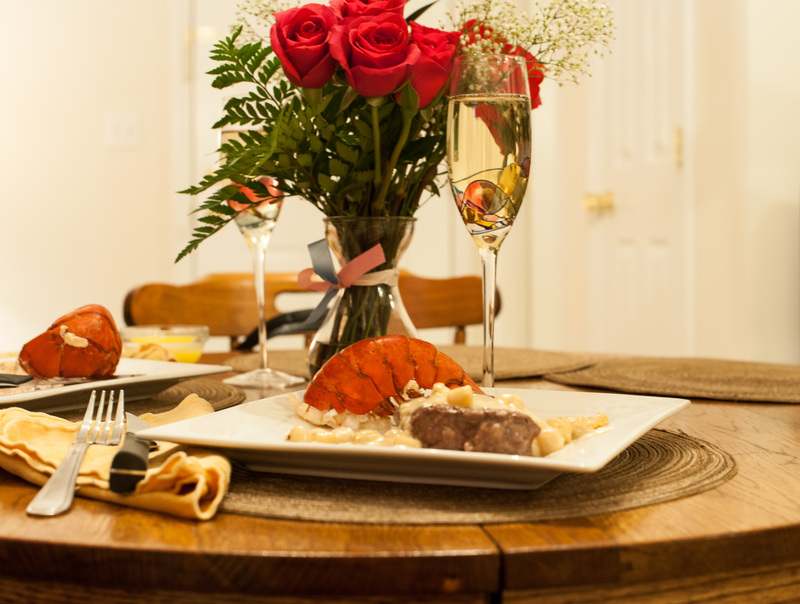 There are so many ways of doing this as there are many types of steaks and everyone has there own preferences when it comes to seafood so this is what I came up with for the occasion- in this case Valentine’s Day as it is the one day of the year I would rather eat in then go out to an overly crowded restaurant. I prefer peace and quiet when I dine. Now on to the steak. I like my filet steaks a tad thicker as they cook nicely and the juices stay in- less likely to dry out. Plus I just love cutting into a nice steak. 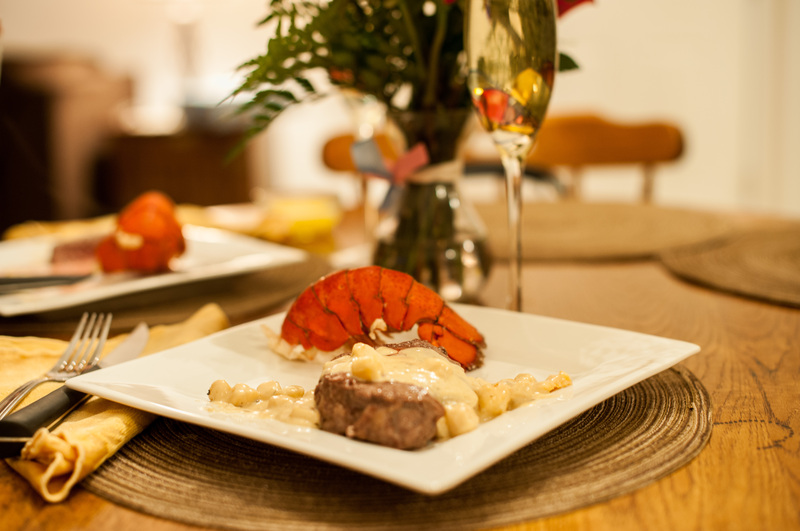 I made a special addition to the turf side as I made a creamy-sherry sauce with sauteed bay scallops to top the steak. Overall a nice dinner presentation. Don’t forget the champagne. This entry was posted in Dinner, Seafood and tagged Beef, cooking, culinary, dinner, filet, food, Food Photography, Lobster, meal, Meat, Photography, Saute, Scallop, Seafood, Steak, surf and turf by Chad. Bookmark the permalink.